The Leadership Energy Summit Asia (LESA) is Asia’s foremost leadership conference. It brings together courageous leaders, high-profile business people and cutting-edge entrepreneurs to overturn conventional thinking and explore the real source of transformative leadership. 1. 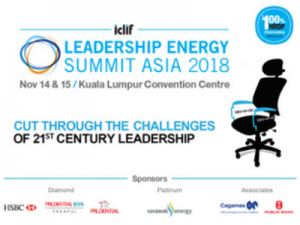 *INSIGHTFUL PRESENTATIONS* : Attend insightful presentations by world-renowned speakers as they reveal how they have harnessed their #LeadershipEnergy to success. 2. *BIG DEBATE* : Learn from expert panellists as they boldly challenge the status quo and share their unique views In pressing leadership issues. 6. *ENERGY BOOSTING INTERACTIONS* : Get energised with engaging activities that prepare you for new concepts and thinking. Don’t miss this rare opportunity to gain a competitive edge for yourself and your company. 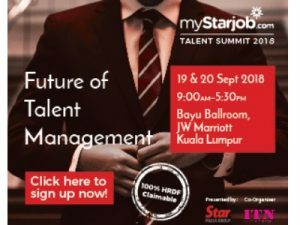 myStarjob.com, together with Iconix Talent Network, presents our annual HR Conference, Talent Summit 2018, Future of Talent Management. Every organisation’s learning curve is their earning curve. Our HR Conference is one of the best ways of keeping up with upcoming trends, networking with experienced people in business and developing innovative ideas. This year we have selected topics based on the emerging trends of HR for 2018. While HR trends keep changing from time to time, it is important to stay informed on current affairs. You are invited to this exclusive event to learn and be inspired by our experienced speakers. Emmanuelle Loye – General Manager & Employer Brand Practice Lead Asia. Edward Ling – Industry Manager. Leo Lee – Chief Executive Officer. 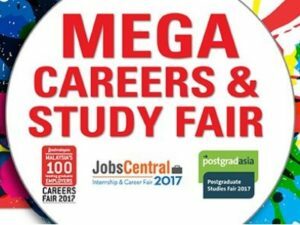 IF you intend to get a better job, visit the Mega Career Fair 2017 at KLCC this 16-17 September 2017. With over 100 participating corporations offering over 2,000 positions, there is no other better place to visit. 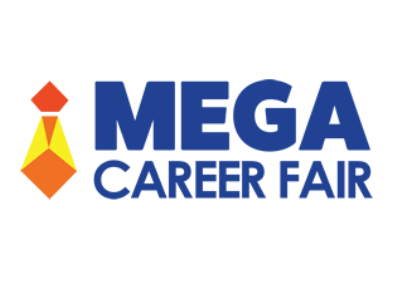 Apart from the opportunity of getting your dream job, Mega Career Fair has more to offer! Professional resume writers will be in the career fair to review visitors’ resume and give advice to them. Top companies and associations will share career tips to the visitors. Meet with Mr Ham, CEO of Marketing Magazine. All visitors able to claim their gift at My Lucky Day booth. All visitor will get one. The highest prize will be smart phone. Career Fair normally will be crowded with job seekers in the early morning queue. Organiser advise visitors to preregister themselves at www.careerfair.asia to skip the queue and meet with the HR personal earlier than other walk in candidates. 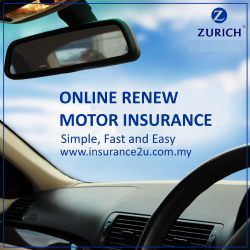 Step 3: Select 1 in the drop down and proceed with register button. Step 4: Fill up your name and email address (must be valid email). Step 5: You will get the express pass via email. 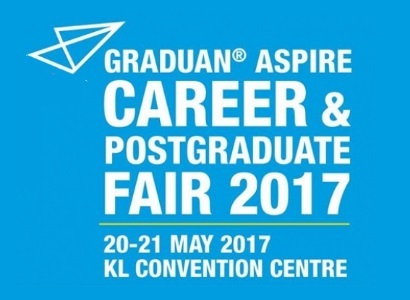 GRADUAN ASPIRE® hits its seventh year as the nation’s most exciting career networking event! Working with leading organisations in Malaysia, GRADUAN® ASPIRE 2017 will offer talent opportunities to land their dream career as well as learn all about the corporate world. This career and networking fair will give them a taste of what it takes to be part of an exciting corporate culture. Talent interested in pursuing their education in postgraduate studies will also be able to receive the necessary information they need via the many universities that will be present. 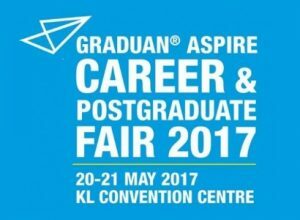 Graduan Aspire has over the years grow to its current status as the premier career and talent networking fair in Malaysia. It provides an enviable forum where both employers and those seeking employment can interact, gain and share relevant information, besides assessing and exploring potential scope. With admission being free on May 20-21, all graduate job-seekers plus ambitious junior and middle management cadres will find it worthwhile to visit this unique meeting ground where talent can pursue opportunity. An exclusive clique where employees and employers can both gain better insights and interact with each other. Mega Careers & Study Fair 2017 will see 3 other fairs being held concurrently, ie, Malaysia’s 100 Careers Fair, JobCentral Career Fair & postgradasia Postgraduate Studies Fair. Malaysia’s 100 Careers Fair brings together the country’s most popular graduate employers under one roof, creating a career fair that offers the best internship and full-time work opportunities for top talents. JobsCentral is Malaysia’s fastest growing and a one-stop job search portal for jobseekers! 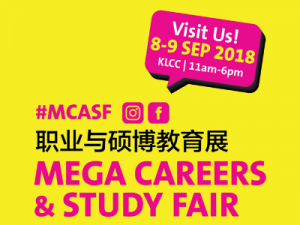 Also the co-organizer for the Mega Careers & Study Fair where professionals from all work levels and sectors can expect plenty of job opportunities from quality employers. postgradasia Postgraduate Studies Fair is Malaysia’s largest and longest-running education fair of its kind. Thousands of prospective students have benefited from the wide range of institutions who call this fair their home.